The amusement park dedicated to motorcyclists and motocross enthusiasts. 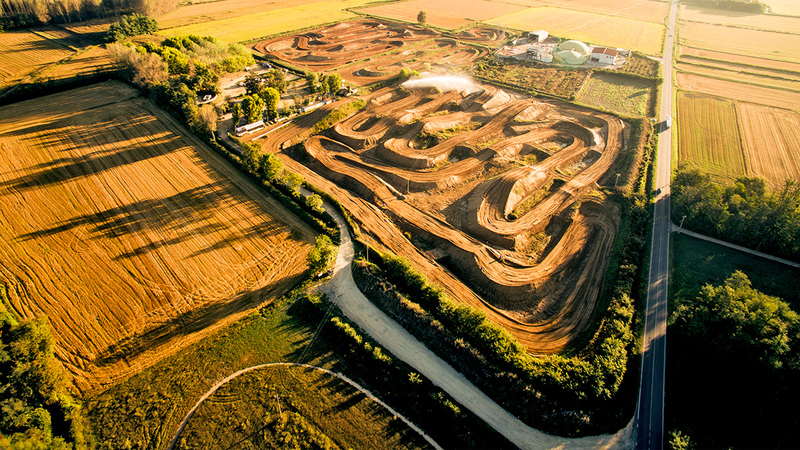 Motocross Dorno is an amusement park dedicated to motorcyclists and motocross enthusiasts. The theme park, located in Dorno, in the province of Pavia, offers visitors an area of ​​over one hundred thousand square metres where one can spend hours and days of absolute fun, alone or in company, combined with moments of relaxation and leisure. The main motor racing circuit runs along a large area of ​​forty thousand square metres and it has a length of 1,900 metres. The circuit’s terrain is sandy and soft with many technical points and innovative features to test the driver’s ability. Every year our circuits are updated in order to allow all the fans to live an experience that is always new and original. The project was created due to the authentic passion for motocross and it aims at giving this activity an additional touch of quality also here in Italy, so that fans can express themselves in total comfort and safety and for all the other people to get closer to an exciting and spectacular sport. Motocross Dorno was created by a family of great motorcycle enthusiasts who guarantee all the visitors and students of the structure a meticulous and precise attention to details regarding the courses and all the activities that take place inside Motocross Dorno. A wide range of services has been designed and made available to our visitors. Motocross Dorno is a place of aggregation, sports, sharing experiences and family, where everyone can feel at ease and satisfy their needs. In the Motocross paradise, courses to bring boys and girls of all ages closer to the two-wheeled world cannot be left out. Beginners of any level and of any age will be able to learn the best techniques in the presence of highly qualified instructors. Motocross Dorno’s motorcycle rental is an exclusive service present only at the circuit of Dorno, an absolute novelty that gives everyone the opportunity to provide first-hand experiences of the adrenaline that motocross gives, engaging both young and old in moments of escape from everyday life and relaxation, all in maximum safety. Discover the latest news from the world of Motocross Dorno. New videos, events and all the races to share your passion for motocross with us..
Motocross Dorno is an amusement park dedicated to motorcyclists and motocross enthusiasts. The project was created from the authentic passion for this sport and it aims to give an additional touch of quality in order for fans to express themselves in total comfort and safety.